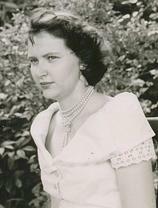 LEE----Shirley J. Trimm, 79, of 151 Christian Hill Rd, in Gt. Barrington, formerly of Lee, passed away peacefully, Thursday, at Fairview Commons in Gt. Barrington, in the comfort of friends and her daughter Nancy. She was born in Springfield on January 30, 1931 the daughter of William and G. Helen Williams Herrick and was educated in the Springfield Schools. She moved to Lee in 1961 and worked at the First National Store , Nejaime's Market in Stockbridge then as a teller at the Lee National Bank and last worked at the Laurel Lake Center in Lee. She was a member of the Lee Order of Eastern Star for over fifty years and enjoyed spending time with her grandchildren. She leaves her children Lawrence Trimm and his wife Marie of Orange, TX. ,Nancy E. Socha and her husband Peter of Stockbridge, Sandra J. Auer and her husband Ric of Oakton, VA. , Susan E. Trimm and her partner Sandy Edmonds of Candler, NC; she also leaves eleven grandchildren and fourteen great grandchildren , and her best friend Dolores Faivre of Lee. She was predeceased by her son Kenneth, her sister Barbara Mason, her brother Donald Herrick and her long time companion John J. Nagle. A memorial service with burial for Shirley Trimm will be held in the Spring at a time and place to be announced. Friends wishing may make donations to Hospice Care in the Berkshires in care of the Kelly Funeral Home 3 Main St. Lee, MA 01238.